As the youngest member of the Spinnin’ Records’ all-star roster, Mesto has surely demonstrated his extraordinary talents over time. Having been exposed to music at a young age, his knowledge of mixing rhythms and beats is effortlessly portrayed through his work. Holding a close relationship with other dominant names in the game like Martin Garrix and Tiësto has influenced his quick upbringing in the electronic world, and it sure is something to be proud of. 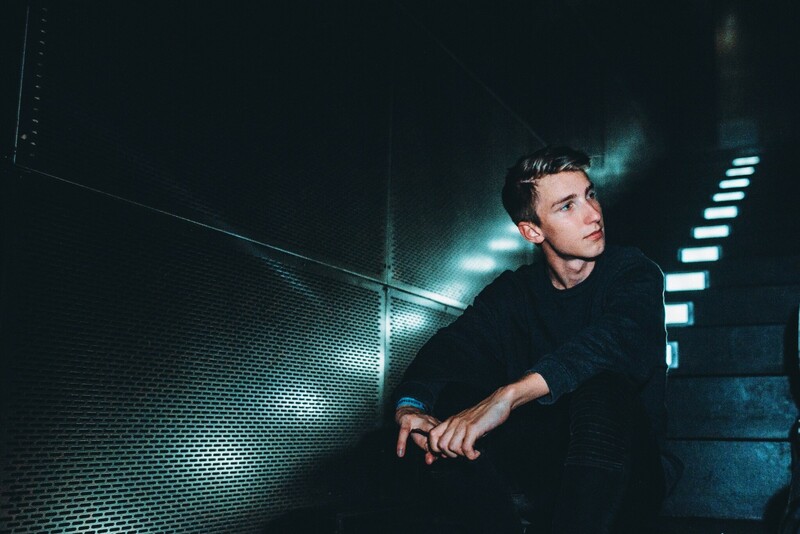 After blowing up due to his exquisite re-works of popular electronic tracks, Mesto proved himself to the EDM world with his phenomenal work ethic and dedication to making it as a young aspiring artist. This year, the Dutch DJ finally made his way over to Miami for his debut appearance throughout Miami Music Week’s many exclusive industry events, which was surely a stepping stone in his music career. Alongside his close Spinnin’ Records peers, Mesto got to be a part of the label’s most renowned event at its exclusive Spinnin’ Sessions pool party showcase at the Spinnin’ Hotel. As one of the event’s opening acts, Mesto truly set the ground for the rest of the day’s festivities and represented everything the label puts forward in the most extraordinary way. After talking to Mesto for some time during this one-of-a-kind Spinnin’ Sessions panel, we got some insight on how his first Miami Music Week experience had been treating him so far. We also got to talking about his most recent and forthcoming projects, as well as his current artist development goals and plans for the months to come. Read on to get the inside scoop on everything Mesto related in our interview with the aspiring 19-year old house producer below. The Nocturnal Times: How does it feel to be here in Miami for the first time during the biggest week for electronic music?? Mesto: I’m super excited to be here! It’s my first time ever in Miami so it feels good to be here, especially during such a crazy and eventful week like this one. I didn’t know what to expect but I love it all so far! The Nocturnal Times: What are you looking forward to the most throughout your Miami Music Week/Winter Music Conference debut appearance? Are there any surprise appearances we should know about that you might be playing? Mesto: I’m just so thankful to even be a part of all of this, I’m hoping to actually attend Ultra Music Festival since I’m here. I’ll most likely attend on Sunday, but I am hoping to be there Friday for Tiesto as well. Who knows, maybe since it’s the day our new song comes out I might make it up on stage with him. The Nocturnal Times: These Spinnin’ Sessions events are some of the most significant in Miami throughout a week as important as this one, did you ever think you’d be such a big part of an event like this when your career kicked off? Mesto: I always hoped I would make it big, just never imagined it to all happen while I’m still so young. I just played my set here at this Spinnin’ Sessions pool party and I really loved this Miami crowd. It’s different than anything else I’ve ever done. The Nocturnal Times: How would you describe your relationship with all the different artists you’ve gotten to know and work with within the Spinnin’ Records label? Mesto: My relationship with all of them is really really good! We have a lot of people working under the label, and we’re each doing our own thing but come together as one when it comes down to it. Everyone is so genuine and supportive, that’s what makes it so great. The Nocturnal Times: You’ve been knowledgeable about music from a young age. When did you realize that electronic dance music was your passion and the genre of music you wanted to pursue producing? Mesto: I started to listen to electronic music about five years ago, and everything about it seemed interesting to me. I’ve always been a music guy, but there was something about making beats like these that I knew I loved. I pretty much taught myself how to create these beats as soon as I started to listen to the genre and I’m happy I chose to do so. The Nocturnal Times: Was there one specific artist or artists that inspired you to come up with your signature Mesto sound? Where did your inspiration derive from? Mesto: Oliver Heldens was actually the one artist who inspired me from the start. He’s one of the reasons why I actually started making music. His future house sounds are so different than those of many artists out there, and I wanted to follow his footsteps. Avicii was also a big influence on me and my sound. There’s a lot to thank him for as well for sure. The Nocturnal Times: As a young and aspiring artist, you’ve already gotten the chance to work with some pretty renowned names in the EDM world such as Martin Garrix. Can you tell us more about your relationship with him? Mesto: It’s crazy because I’ve known Martin for about three years now. I met him when I started producing, and I never thought I would work with someone like him so early on. I had nothing and then suddenly everything just came to me. Martin is a really great guy, it’s nice to know that if he made it so big at a young age that I can as well. The Nocturnal Times: Will you be meeting up with any of these artists throughout the rest of your time here in Miami? Mesto: I’m definitely going to be hanging with Justin Mylo and Curbi a lot, and yeah hopefully I get the chance to run into Oliver Heldens and Martin Garrix. I know we all have busy schedules but it’ll be nice to catch up here in Miami at some point. The Nocturnal Times: You just released your track “Leyla” about a month back or so, and your fans have reacted extremely positively to it. Did you think it would become as big as it has? Mesto: To be honest, I didn’t know what to think. I was pretty nervous to release it because it was so different than any other track I had released in the past. It was an experiment for sure, but I’m glad it turned out to be a hit. The Nocturnal Times: Tell us about your latest track, “Can’t Get Enough,” with the one and only Tiësto! Mesto: We had been working on the track for a few months now, and we didn’t really have one specific idea to begin with. Once the idea came about, it took us a while to find really good vocals to go with the melody we created but Tiesto put in work and found the perfect fit for us to include on the track. The Nocturnal Times: How did this collaboration come into place to begin with? Mesto: I’ve always admired Tiesto, and it’s been awesome working with his label in the past. We both thought it was a good time to come together and produce a track that mixed both of our unique sounds into one. Unfortunately, I haven’t met him in person yet but I’ve worked closely to him. Hopefully, the time comes soon enough! The Nocturnal Times: In regards to your ongoing success and development as an artist, what would you say your number one priority is goal wise throughout the rest of the year? Any special projects we should expect from you in the near future? Mesto: My biggest goal is to keep producing music and collaborate with artists I haven’t been able to work with yet. I want to grow more and more as an artist so that’s what I’m going to invest my energy in. There is a track with Oliver Heldens coming out soon on Heldeep Records and another one with Felix Jaehn as well. 2019 has been pretty good to me so far, and there’s a lot more to look forward to.